Recently we reported about foldable Smartphone patent application from LG published by World Intellectual Property Organization (here), which shows us the smartphone with two separate dual curved edged screen held together by a hinge design. 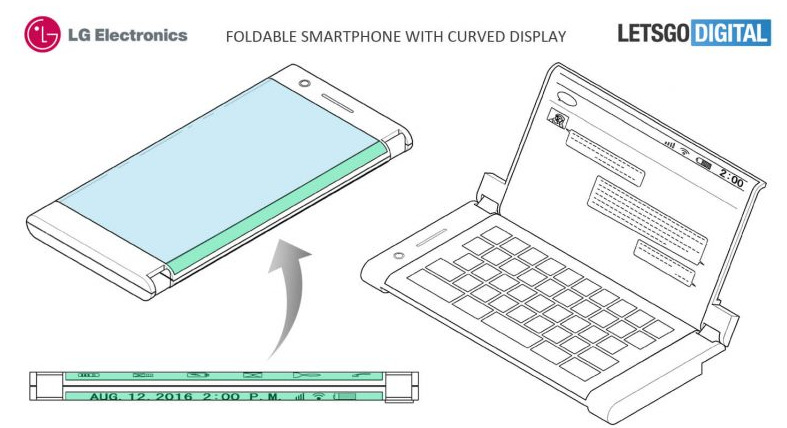 The two individual screens are able to open and combine to form one single display or to be used as separate display in folded mode which will make it look like a normal smartphone. 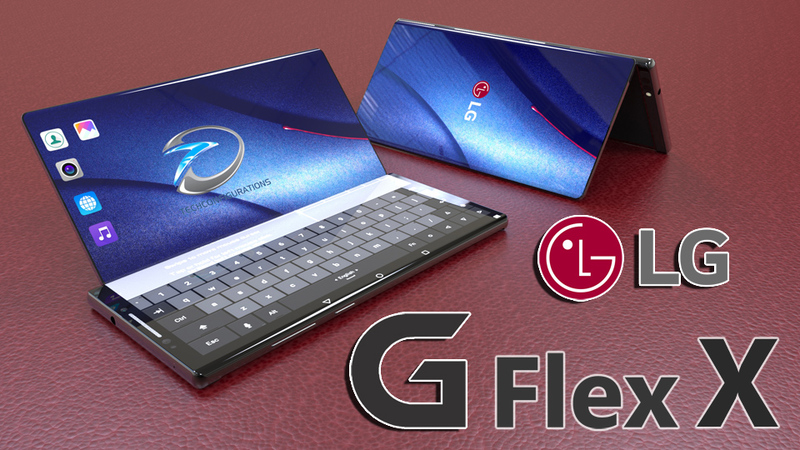 This design seems to be so practical and could be done using the technology available right now , this inspired us to create this foldable smartphone concept which we would like to call LG G Flex X. We have designed this concept based on the ideas from the patent document while combining our creativity to make it as much pleasing as possible. Our design also has two separate display which can be folded to make it look like a normal smartphone with 6.2inch display while it becomes huge 8.5inch display when unfolded which we call tablet mode. Apart from these if you fold it further to approx 120degree the laptop mode gets activated which tuns the main display to a full fledged keyboard while the secondary display can be used to interact with apps and display information. When the device is partially folded, two people can watch different videos at the same time, with each using their own Bluetooth headphone to hear the audio in private(so the device can stream two different audio output) .This technology allows users to do separate operation at the same time without disturbing each other. Now coming to technical specifications, this concept will feature two 6.2 inch 4K OLED display which could be unfolded to form a 8.5 inch 4K OLED display. It is powered by Snapdragon 855 Chipset couple with 8 GB of RAM. The camera department will feature 16MP Dual camera module with f/1.5 on back while the front camera would be 8MP . The device would be build out of metal and glass while it will also be IP68 water and dust resistant. Its Interesting that even though the patent application was filed in 2016, the first screen features an under-display fingerprint scanner, so we have also added that to this concept. Let us know what you think about it in the comments below.